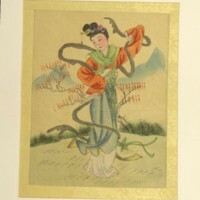 A color print on silk, untitled. The piece depicts a young woman with a long gray ribbon wrapped around her. 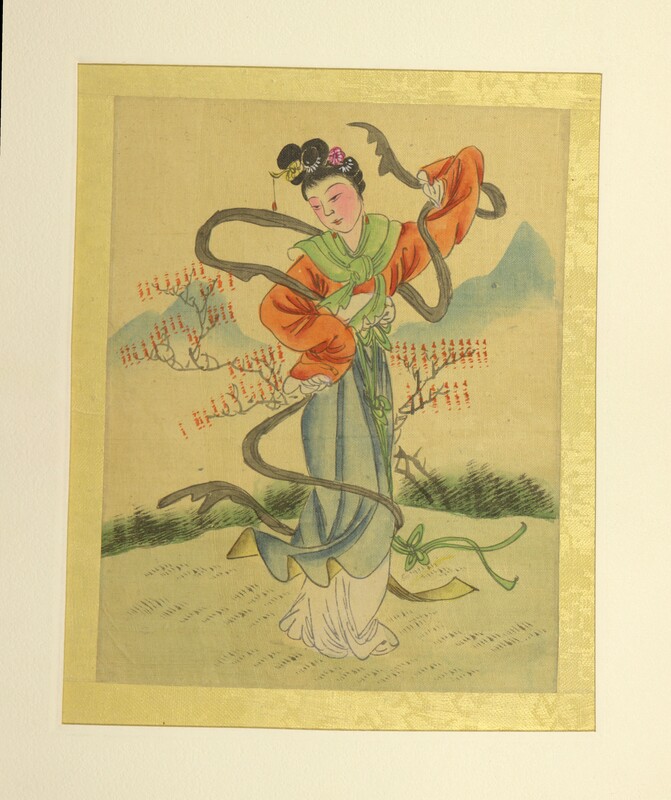 This woman may be Hsi Wang Mu, the Chinese Goddess of Immortality. 8 1/8" x 9 3/4"